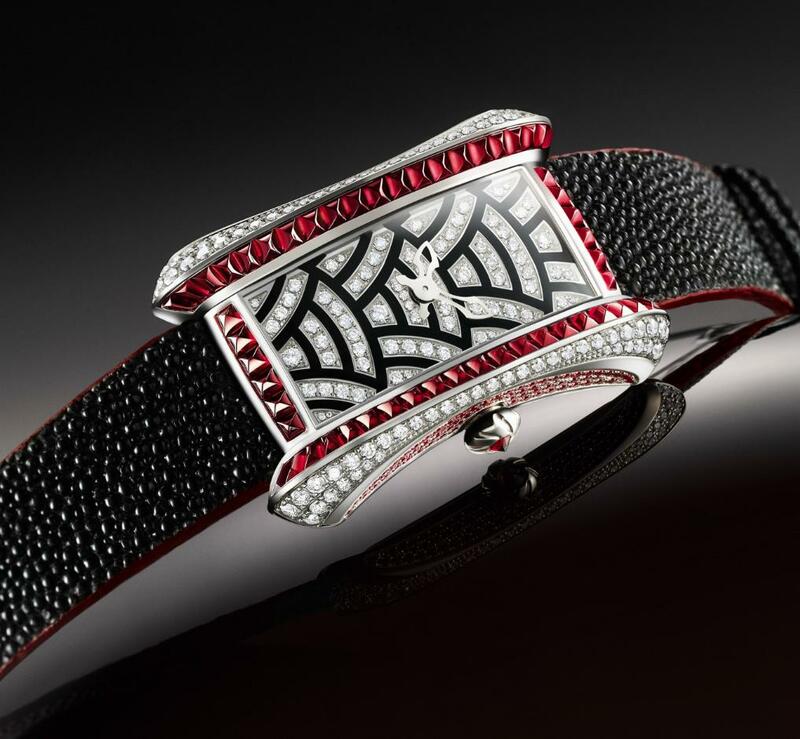 Carl F. Bucherer’s Alacria Diva Gothic is a limited edition of 25pcs. It’s a quartz watch with a white gold case and buckle, 211 rubies and 82 diamonds on the case, 74 on the dial and 13 on the buckle. The asking price is $120,000. Thank you, I’ve recently been looking for information approximately this topic for a long time and yours is the greatest I have found out so far. However, what in regards to the conclusion? Are you sure concerning the supply?